UMass Dartmouth is a Tier 1national research universitythat provides you with a private college educational experience at a public university value. Our outstanding faculty will challenge and encourage you. They willprepare you to thrive in a world thatchanges at a revolutionary pace. Your UMassD education is designed to develop a robust skill set and global mindset so you think critically, communicate effectively, and learn constantly. 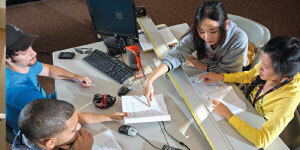 UMass Dartmouth helps you excel by integrating theoretical knowledge with practical experiences. You canbuild your résumé through many opportunities for undergraduate research, internships, and community service learning. You’ll find thatUMass Dartmouth professors are key to your success. They’re renowned for their research and they love to teach. You’ll have professors teaching in the classrooms, and with anaverage class size of 25, they’ll get toknow you as they help you succeed. You’ll find UMassD graduates in leadership positions around the state, nation, and world. They attend graduate programs at Yale, MIT, JohnsHopkins, and Harvard. They’re employed by Google, Uber, Hasbro, Massachusetts General Hospital, DellEMC, PricewaterhouseCoopers, and government agencies and offices. The University traces its history back more than 100 years, when it first began serving the region’s educational needs to prepare people to work in the textile, manufacturing, and service industries. Over time the focus shifted, and today UMass Dartmouth is an educational and research leader in the liberal and creative arts and sciences, business, engineering, healthcare, and teaching. The University serves as an intellectual, economic, and cultural catalyst in the region andthroughout the world. UMass Dartmouth is in the toptier of national research universities in U.S. News & World Report’s rankings. And the entire University of Massachusetts system has a world ranking on The Times of London’s prestigious “World University Rankings” list. UMass Dartmouth is located in the scenic coastal community of Dartmouth, Massachusetts. The campus is situated on 710 acres in a park-like setting, with easy access to Boston, Fall River, New Bedford, Cape Cod, and Providence, Rhode Island. Nearby shopping, entertainment,restaurants, museums, and theatersmake this a vibrant hub. Recreational sites are minutes away, including beaches and hiking. Buses run fromcampus to nearby communities aswell as Boston. The UMass Dartmouth mascot is a pirate, Arnie the Corsair. It reflects the adventurous, courageous spiritshared by the campus community.It’s a residential campus, with 76%of first-year students living here. There are more than 180 studentorganizations, cultural opportunities, and interest groups. We compete in NCAA Division III, with 500 students participating on 25 teamsand hundreds more playing on 18intramural teams and seven clubsports. Our students also excel beyond the court, field, and classroom—the University is in the top3% on the President’s Higher Education Community Service Honor Roll for its outstanding commitment to community service. UMass Dartmouth has five colleges: the Charlton College of Business,the College of Arts and Sciences, theCollege of Engineering, the College of Nursing, and the College of Visual and Performing Arts (CVPA). 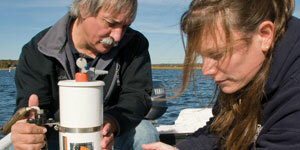 The School for Marine Science and Technology offers students unique graduate opportunities. UMass Law offersUMassD students a 3+3 option. Other learning opportunities include internships, an honors program, independent study, contract learning, directed study, study at nearby universities through cross registration, and credit by examination. You can take advantage of study abroad agreements with partner institutions in a number of countries,including Australia, Belgium, China, Egypt, England, France, Germany,Ireland, Italy, Portugal, and Spain, to name a few. The dramatic campus is the work of architect Paul Rudolph, formerDean of the Yale University School of Art and Architecture. A $45 million renovation to the library created a state-of-the-art, energy-efficientspace that serves as both the intellectual and social heart of campus. A campus-wide, $175 million building and renovation program is underway to upgrade and improve academic facilities. The new Charlton Learning Pavilion, adjacent to the Charlton College of Business, offers remarkable classroom and learning spaces. Access to technology is an integral part of the curriculum. UMass Dartmouth is a wireless campus withcomputing clusters located in the library and most classroom buildings. Multiple computer labs (Apple and PC) are readily available throughout campus. The Star Store campus in historic downtown New Bedford offers outstanding studio space for undergraduate and graduate Art students. Important collaboration space on campus includes the Innovation, Design, Engineering, and Art Studio (IDEAStudio)—a digital multimedia workspace for Engineering and Art students—and the Center for Scientific Computing and Visualization Research, where the data capabilities stretch the imagination. In-state tuition for 2018–2019 was $13,921; non-Massachusetts resident tuition was $29,141. Room andboard expenses were $13,487 (basedon a Platinum meal plan and a double room for a year). Books and supplies cost approximately $1,300 a year, depending on your courses. Specific fees may be assessed, depending on your course of study. UMass Dartmouth offers proximity tuition discounts for all New England states. Last year, 85% of students who completed the FAFSA received need-based financial aid. Submit your FAFSA by March 1 for priority consideration in the awarding process. More information is available online at umassd.edu/financialaid. Come visit the University for a campus tour and an information session.UMass Dartmouth offers Early Action for those who apply by November 15, and most decisions are made within four weeks of the completion of your application. Application forms and related information are available at umassd.edu/apply.